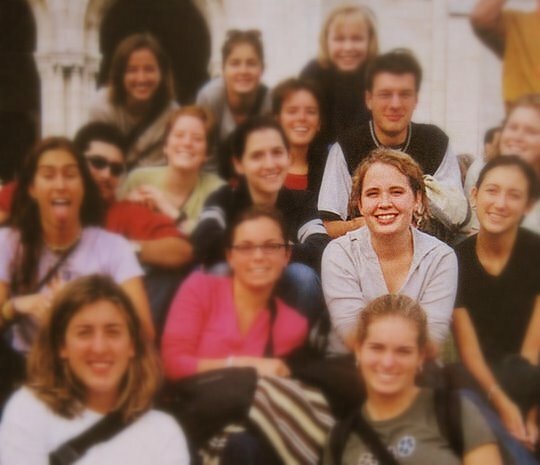 When I Lived In Europe… And Didn’t Drink Wine | Life Is Fine! Fine As Wine! For my entire junior year in college, I studied abroad in Leuven, Belgium. I refer to this period elitely as My Time In Europe and start off many a story with a commanding “When I lived in Europe…”. It was and remains one of the greatest experiences of my life — I was young, surrounded by friends, and a continent away from any reality I’d ever known. I was smart enough to get by doing minimal work, attending class sparsely, which freed up my time to focus chiefly on the following activities. Dragging luggage across crowded platforms to catch various trains. Falling dramatically in and out of love. Trying on shoes I had no business buying. Sitting in various town squares watching the well-accessorized world go by. Eating my weight in baguettes and gouda cheese. One regret I do have from My Time in Europe is my failure to take advantage of resources and proximity to cultivate a basic knowledge of wine. I shudder to say that I had little to no taste for the stuff back then. Food? Clearly. Art and culture? But of course. The Belgian propensity for brooding, furrowed brows and all-black ensembles? Absolutely. But wine? Well, I literally didn’t even know what I was missing… So I suppose that gives me all the more reason to go back. This entry was posted in Uncategorized and tagged Travel by thiswineisfine. Bookmark the permalink.